The motto is “If you want to feel free, come to Tromsø”. This is very true but what you must remember is that after nearly 60km of racing over its mountains, you are likely to feel rather dead as well. 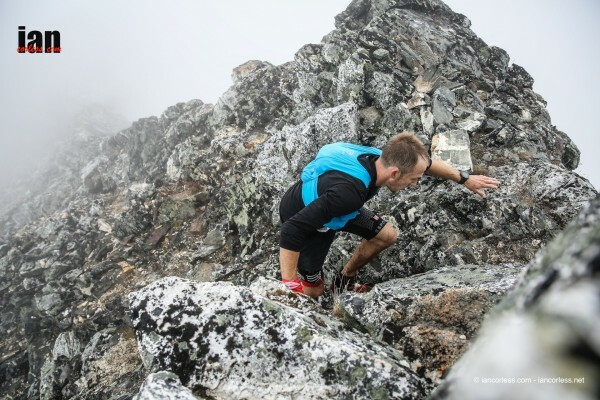 The route for Tromsø Hamperokken Skyrace was going to differ from that of in 2015. Instead of starting and finishing up in the mountains the race would start in the centre of Tromsø, adding 400m of ascent and an extra 11km of distance to the route. This would total the course at 58km with 4600m of ascent spread over 3 main climbs. Having done the race last year, I was under no false impressions that it would be easy to complete, let alone podium. 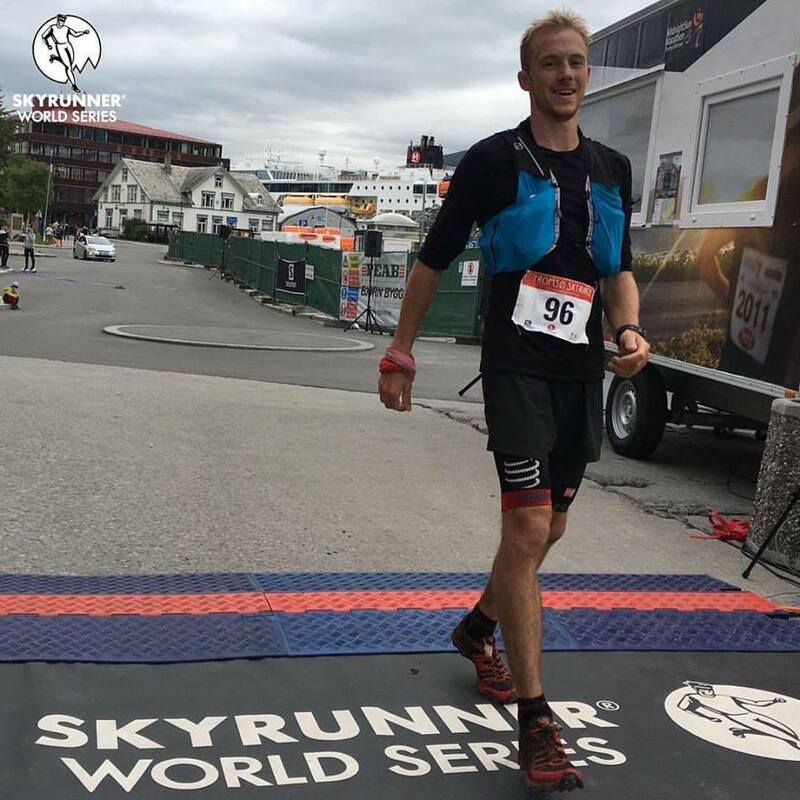 In fact, the final climb back over Tromsdalstind (1200m) is much a psychological battle as a physical one, it would take more than simply being in good shape to win this race again, especially with the added interest now Tromsø is part of the Skyrunner® Extreme World Series. I knew the key to success would be pacing and this is something I did well last year. I therefore stuck to the same game plan and tried to relax on the first climb which led up to last year’s starting point. Still feeling relaxed it was a surprise that before the summit of the first mountain I came across the leading group. Thick cloud was making the navigation tricky and no one wanted to take the chance of blasting of at the front. Reaching the top and starting the descent which led 1200m straight down to the base of the other side of the mountain, the strongest racers were starting to show. We were now a group of four, three of which were from the UK and the other from Japan – I wasn’t sure who he was but the other two were Tom Owens and Finlay Wild. Tom is a really experienced skyracer and Finlay, I had been told, is an exceptional runner on technical terrain and ridges. Although we were racing the mood was still light between us. Still chatting we made our way over the flat valley and started the second climb of the day – up Hamperokken (1400m). Still trying to manage my effort, it looked like Tom was solid up the climb and started to pull ahead. Me and Finlay were together and hiked well, soon reaching the start of the ridge after going up for 1000m. The ridge is 4-5km long and climbs around 400m. A distance you hardly realise as concentration is preoccupied on the technical terrain and steep exposed drops. This culminates with the final ascent to the top which is grade 3 scrambling. Being dry this year made going far quicker as I tried to keep up with Finlay. He is renowned for being strong in this terrain and seemed fearless. Finally reaching the top, Tom was still in the lead with something like a minute back to Finlay who had a further minute on me. Starting the descent, I was something glad I wasn’t in the lead. Every rock seemed to be loose and I took care not injure myself or send too many rocks tumbling down to the racers below. This cost me time but once I reached the valley floor again it didn’t take long to reel the other two in. Back as a three, it felt as if I had ruined the party by catching up in what was later described as one of Tom’s many breakaway attempts. I knew far too well the race was all about the next climb and I wondered whether I had the same effort in me that I had the year before. The race was very different now and with the longer course back to the finish I didn’t want to risk too much now. I was feeling strong but resigned myself to tuck in behind Tom, trying to shadow him to the top and see how the race would play out from there. Although I can see now that to go then was perhaps my last chance, it was a gamble I don’t think I would have won. Sticking with Tom for half of the 1200m climb I took out one of my last gels, a different type to what I had been using in the race but one I hoped would help power me to the top and beyond…it didn’t. A couple of 100m climbing later I started to feel sick, the effort was getting to me and I was losing a battle. Tom’s willpower was unwavering and he seemed to be climbing steadily like a robot. 200 vertical metres from the top he dropped me. Finally reaching the top a minute behind I hoped to salvage something from the descent but this wasn’t to be. Usually confident on technical descents I was frantic and struggling to push past the hordes of people now on the shorter course who had summited Tromsdalstind. One person didn’t seem to hear as I called three times behind him. I hit into his back and as he turned I notice the headphones he was listening to. Plucking them out of his ears I somewhat politely vented my frustration by saying “Don’t listen to music”. As it happened, by the final km I could barely catch and overtake these runners anyway. 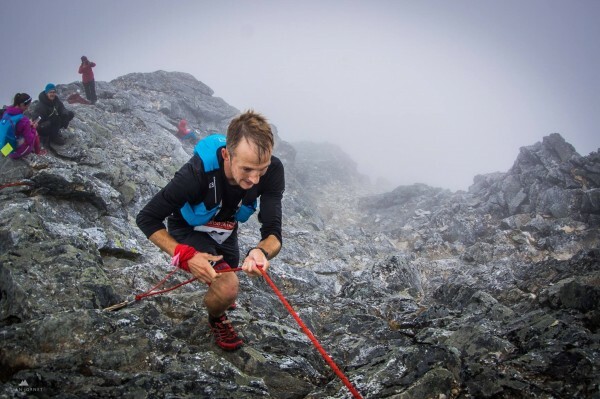 Being slightly confident I wasn’t going to be caught by Finlay and that I wasn’t going to catch Tom I now had a reduced desire to push myself and this lack of mental push resulted in my body starting to deteriorate – that and the 7 hours of hard racing. Finally coming over the line in second I was smiling all the same. Tromsø is a knarley race and a fantastic one to boot. I was proud to have come second but also disappointed that I failed to win the battle of wills up the last climb. A comforting thought was that when comparing my race this year to last, I was 10minutes quicker over the same part of the course, even though the lack of snow was meant to make for slower times. With a strong start I am now looking forward to the rest of the Skyracing Extreme Series with Kima in Italy coming up in a couple of weeks time, followed by Glen Coe in Scotland. Great review. Look forward to hearing how you get on in the rest of the series.